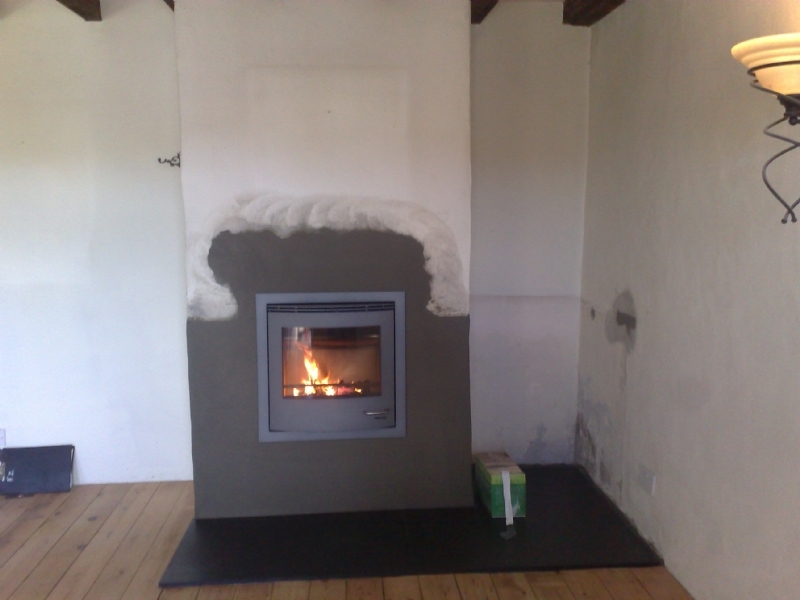 Scan DSA 4-5 in an old cottage wood burning stove installation from Kernow Fires. 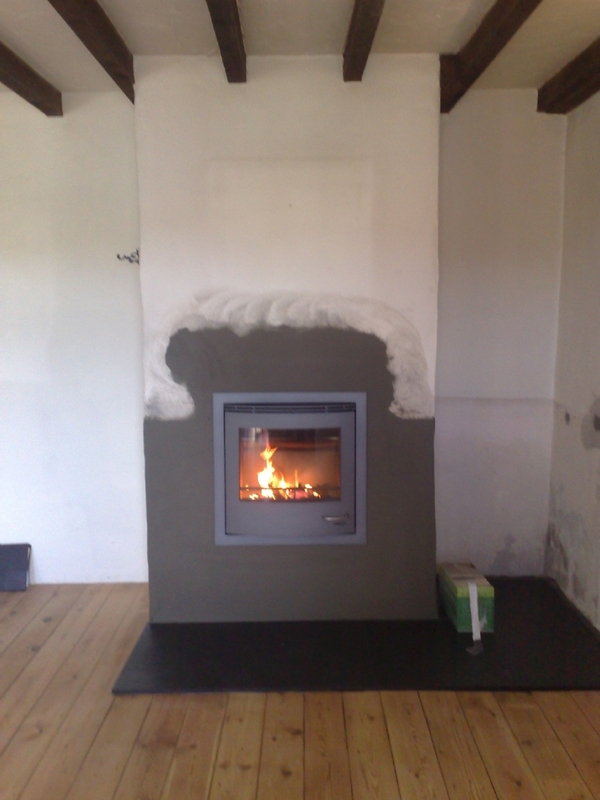 This old cottage was completely transformed by removing a tired traditional fireplace and replacing it with a clean modern inset fire. The wall was re-plastered ready for painting.